Its International Women’s Day and to mark it we decided to share a few of our committee’s inspirational women. Some you know, some you won’t but hopefully they will inspire you to think about those women that inspire you. As inspiring women go, Joanne Kathleen Rowling has to be one of the top ones of our times. She is a global phenomenon, creating not only the Harry Potter universe but also best-selling adult fiction, under her own name and the pen name of Robert Galbraith. But it’s not only her talent that inspires, it’s her strong beliefs and refusal to let the internet trolls take her down – during the run up to the Scottish referendum, she faced a huge torrent of abuse online for siding with the No vote and donation to the campaign. As a resident of Edinburgh for many years, she was well within her rights to do so and admirably handed the criticism that was sent her way. An avid Twitter user, she regularly tweets in support of various campaigns, such as in praise of the NHS and the welfare state – indeed, she has stated that without the benefits she received as a single mother in the nineties, she wouldn’t have been able to write Harry Potter at all. Also she set up her own charity foundation, is heavily involved in various other charities and has written new fiction on numerous occasions for events like Comic Relief, like ‘Fantastic Beasts and Where to Find Them’ – which has recently been made into a film. She often can be found tweeting to her fans and gives them pearls of wisdom that must mean the world to them, making her seem down to earth which is incredible given her huge level of fame. As an author, political activist and philanthropist, Rowling is an inspiration of what can be achieved and obstacles overcome along the way. When I had to choose my A levels there was only one subject I wanted to take, which was Business Studies and Anita Roddick was the reason why. She was the founder of the Body Shop at a time when cosmetic companies weren’t known for their ethical consciences. The combination of needing to find employment to support her family while her husband was off trekking the Americas and a wealth of alternative cosmetic experience from travelling around the world led to her opening her own green cosmetics shop, the Body Shop. Design took a back seat to moral decisions, customers were guided towards making choices that benefited the planet rather than just their own well-being. Banning ingredients tested on animals, pushing towards recycling and reusing packaging, promoting Fair Trade. Her advertising focussed largely on the many perceptions of beauty away from the western world, seeing age as an asset instead of hiding the wrinkles from her customers. I used to love going into the Body Shop in Reading near where I lived. It was the opposite of what all the other girls at school were going for; where they had pineapple perm hairdos I had naturally dyed, long black hair. I distinctly remember the green avocado goo that I thought was the best thing for my acne ridden skin. I loved that as I went through the door I wasn’t bombarded with perfume spray and bright lights; instead I enjoyed the green of the shelves and the ethnic music playing in the background. Anita Roddick made all this happen, with determination. She steered her little shop to become a worldwide chain of shops that can now be found in nearly every town in the western world and many others besides. Although Anita sold the shops in the end before her death in 2007 the brand continues to follow her moral compass. Anita proved that you can still be ethical in the business world, that you can stick to your guns and fight for what you believe whilst still being successful in your field. And although you can’t still refill their packaging (which was always messy!) I still feel the same about the Body Shop, as long as they continue as they started. The incredible Emma Watson is a personal hero of mine. An actress, model and activist, Emma shot to stardom at just 11 years old as Hermione in the Harry Potter films, and last year established herself as a feminist icon as UN Women Goodwill Ambassador and the launch of the HeForShe campaign which calls on men to advocate women’s equality. If you haven’t seen her powerful speech at the UN in January 2015 check it out. Emma has spoken openly about the importance of self-determination, defying sexist stereotypes, pushing through fears, and believing in, and being, yourself. Emma has pursued goals aligned with her values through her work with the Fair Trade fashion brand People Tree, promotion of girls education, and is a certified yoga and meditation teacher to top it all off! Emma has faced the challenges of growing up in the public eye, and more recently, anti-feminist criticism, with strength and grace. Named in the Times 100 Most Influential People of 2015, Jill Abramson, former editor of the New York Times, noted Emma’s “gusty and smart” take on feminism. A powerful role model, Emma has sparked a new generation of discussion on feminism and equality. The everyday women … and Miss Piggy! There are a few women in work and at home that have inspired me over the years and have influenced who I have become as a woman. Firstly my Mum, she is an independent woman. As a child I grew up with a Mum who would think nothing of changing a plug, re-decorating a room over the weekend, and generally just getting on with it. It took many years for me to realise that not all Mums did this, she did what some friends still call “Dad” jobs. To me she is an independent woman who just gets on with it, and this has definitely inspired me and given me the confidence to do the same. Secondly, a line manager from many years ago. Working in relatively male dominate industry she would not be walked over, she would speak her mind and, equally important to me, she would dress like a woman. She never felt the need to wear a trouser suit badly or blend-in with the men, it was heels and dresses all the way. She made me realise that you do not need to change your style or approach, you just need to have the confidence to stick to your guns. And finally, a muppet has been an inspiration to me since I was a little girl: Miss Piggy. Possibly the earliest feminist I came into contact with, she knew her mind, voiced her opinion and didn’t let anything stand in her way. Not being the traditional looking woman (as a pig! ), she forged her way through 1970s Hollywood and I hope she made girls realise they could be and look however they want. It may seem odd to be inspired by a muppet but behind the puppet someone created this character who continues to inspire girls and women. Now, this idea may sound strange to some, but it made for a fascinating evening. As a taboo subject in our society, it was great to discuss death matters with others; topics covered included different ways of having a funeral service, such as in a community centre or football stadium, with a homemade or personalised coffin. I didn’t know other locations besides churches can be used for services, and not being religious in the least myself, this was good to find out. We also shared personal experiences such as the deaths of our own loved ones, what we think makes a good funeral, and then more medical matters like assisted dying and palliative care. 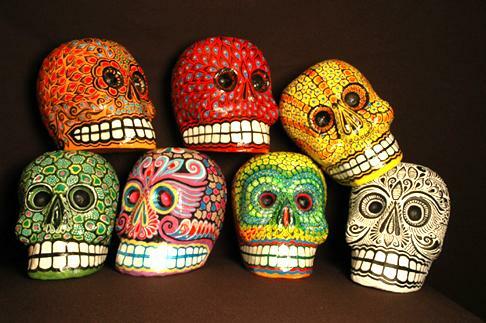 Also we chatted about the Mexican festival Day of the Dead, or Dia de Los Muertos, where they celebrate the loved ones they’ve lost with decorations like sugar skulls. There was a great mix of Sotonettes members and non, which made for a wide ranging discussion with lots of views raised. I felt there was a combination of serious and light hearted chat, with respect given to those who shared personal stories and also humour when it occurred. Death Cafe is an international social franchise, run by a group of volunteers, where groups of people come together to discuss matters related to death in an informal way; it’s not a therapy session but can help people to discuss issues they may not otherwise feel able to, as it is a sensitive subject in our society. Death is a huge part of life but is often tricky to raise in everyday conversation, which is one of the aims of the cafe, to embrace it and make it more open to discussion. I definitely feel more able to chat about it without feeling uncomfortable, knowing there are like-minded people out there. Now, if only I could pick a song for my funeral! The Hampshire County Federation of WIs (HCFWI) is seeking nominations for 12 members of the Hampshire Federation to serve on the HCFWI Board of Trustees for 2014 – 2016. If you are a Sotonettes member, then you are also a member of the Hampshire Federation and are eligible to nominate or be nominated as a candidate! New members are needed on the Board of Trustees to bring fresh ideas to increase and sustain membership. It is an interesting and rewarding role: do you know someone who fits the criteria? If you’d like more information, visit the HCFWI website or find the nomination form here. 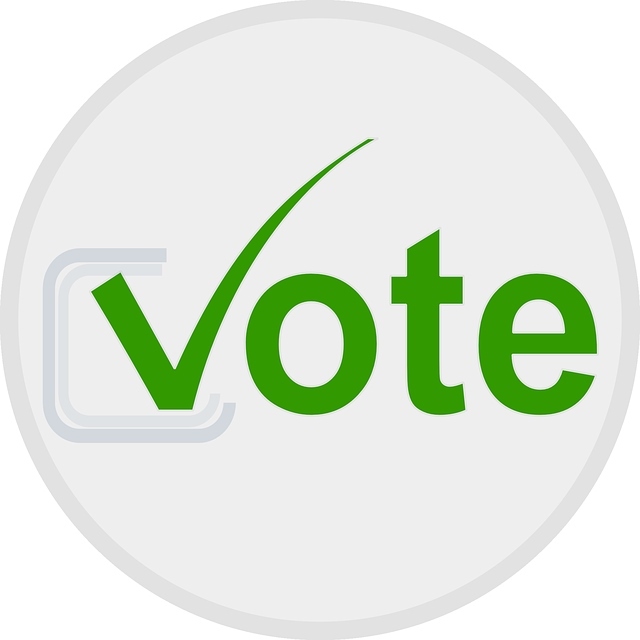 Nominations need to be with WI House by 10 July 2015, so get those nominations in! This week (22 – 28 June 2015) is #RecycleWeek and upcycled fashion will be the statement wardrobe essential during this year’s campaign in Southampton. 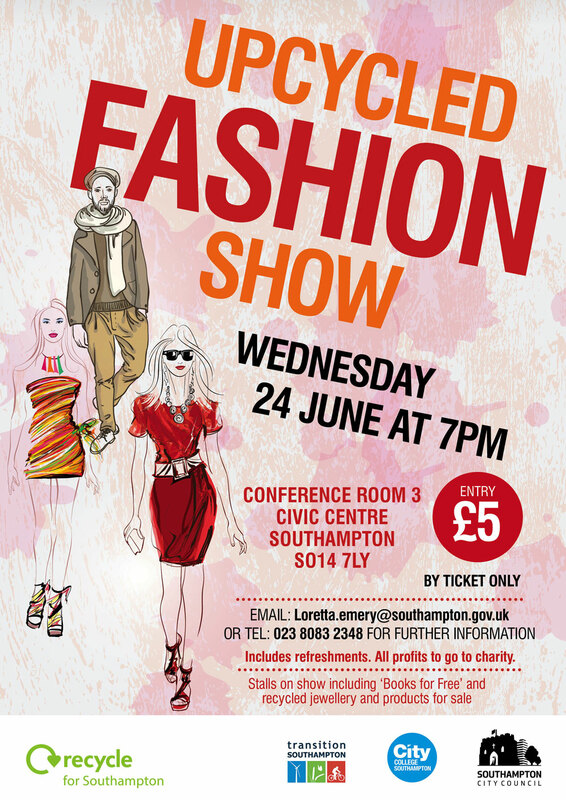 See recycling strike a pose at the Upcycled Fashion Show at the Civic Centre Southampton on Wednesday 24 June at 7pm, where garments designed and created during local community sewing workshops will be on display. Recycled jewellery and other upcycled products will also be available to purchase, so find out more at http://bit.ly/1J1MjJw. Or visit www.recyclenow.com to check out everything you need to know about recycling and reusing! 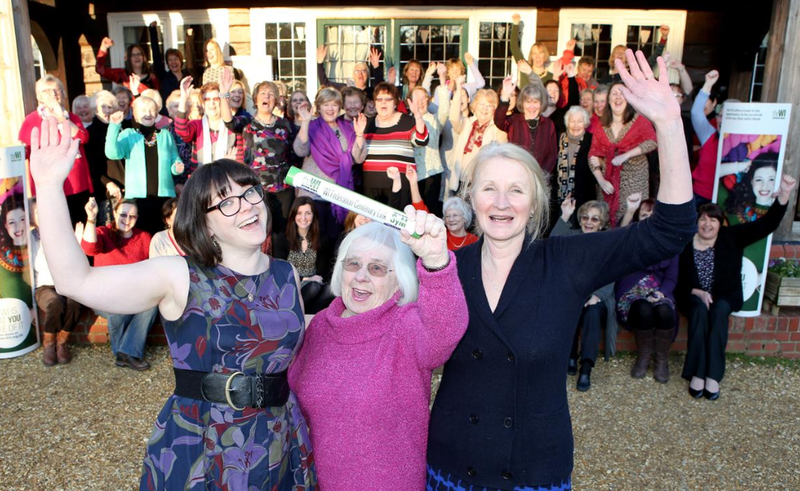 Last weekend (the 18th of January) saw the WI Centenary Baton arrive in Southampton! 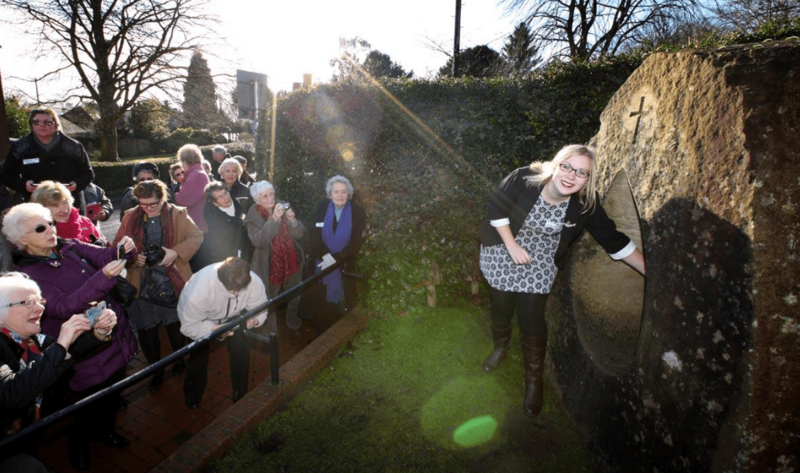 With a transport theme, the baton is travelling the length and breadth of the country to celebrate 100 years of the Women’s Institute. One of Sotonettes’ youngest members and co-founder Catriona Cooper received the baton from the longest serving member of West Houghton WI, after it arrived in West Tytherley on horseback. Test Valley and Romsey group hosted a delightful village breakfast with obligatory WI tea and coffee. Catriona receives the baton with many WI onlookers! Catriona received the baton on behalf of the newly formed HamWIc group (Sotonettes WI, Shirley WI, Bassett WI and Highfield WI). The baton was then cycled to Portswood Pavilion where our members enjoyed an afternoon tea in full WI style with cucumber sandwiches, Victoria sponges, scones and of course more tea! The Sotonettes then had the honour (and responsibility) of keeping watch of the baton overnight before ceremoniously passing the baton to the Beaulieu group on Monday morning. Continuing with the pedal power, I cycled the baton to Town Quay, where Red Funnel had very generously provided a breakfast of bacon butties for the HamWIc and Beaulieu groups. The Mayor of Southampton, Councillor Sue Blatchford, joined us to send off the baton in true style. The Beaulieu group ladies arrived on the Hythe Ferry and looked quite the part in their 1915 outfits. Despite some not so hidden disappointment over the size of the baton (it is an official athletics relay baton in WI green! ), there was an overall buzz at each of the events. As I started to relax when the formalities were coming to an end, knowing everyone had received tea, bacon butties, VIPs had turned up, and people had arrived to enjoy the occasion, it started to really sink in the significance of the day. I had been part of the WI’s centenary baton relay. I would be telling my grandchildren one day something I hope they touch on when studying women’s history in Britain. I am proud to say I was part of something very special and important in the history of the Women’s Institute. As I said on Monday as we handed the baton to Beaulieu group, I know that I will, and hope that others will, continue with campaigning, educating and inspiring women.